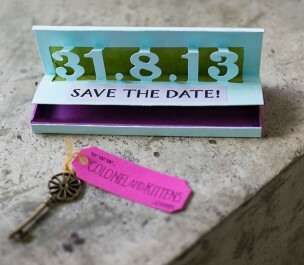 When I got married eighteen months ago, I made a rather complex Save the Date. It was a little box that opened up to reveal a pop up date under which was a secret compartment containing a little key. The tag on the key gave a password to a website which guests could then access to read the full details of the wedding. It was time consuming, to say the least, to make 100 of these little boxes. One could say it was a labour of love, and I had a lot of time to think about my motivation for doing something so incredibly elaborate, even given it was for something as one-off and special as my wedding. 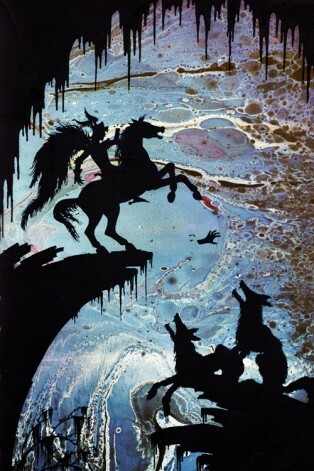 I realised that part of what motivates all my creative work harks back to the books I used to read as a child. 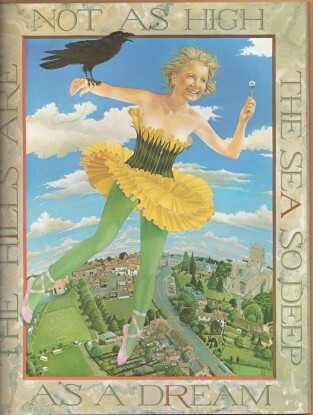 A theme that seemed to run through all my favourite books was a sense of there being another magical world, a secret kingdom, or a deeper unseen layer underneath what the eye ordinarily sees. 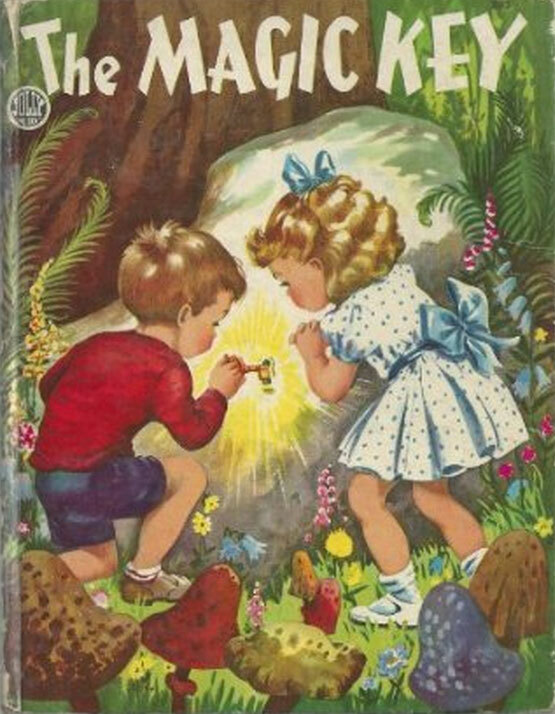 I used to pore over books like The Magic Key written by Mary Francis, with its beautiful vintage 1950s illustrations of Tommy and his sister MaryLou in the fairy kingdom which they access by way of a rusty key they found in their garden. 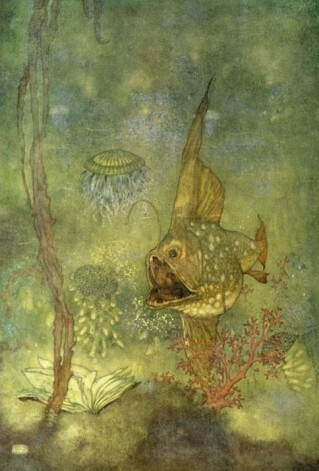 I think back to books like The Kingdom Under the Sea, with its captivating silhouette imagery done like paper cutouts against colourful ink blot backgrounds, or Edmund Dulac’s illustrations of the Hans Christian Anderson fairy tales in which I remember only the mesmeric imagery like a series of dreams, feasting my eyes on the lavish attention to detail in the pictures. 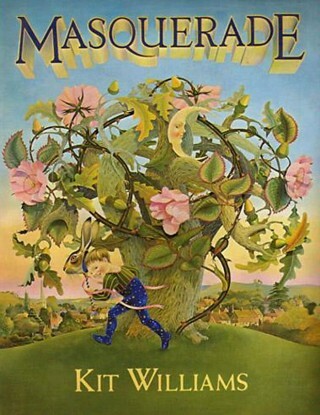 I would get lost for hours in the illustrations of 1970s classics such as Masquerade, where the real world was pictured with an almost unbelievable degree of detail and there was a secret hare to find on every page and a cumulative trail of clues that could be solved to find a real life hare wrought in gold and jewels that was buried somewhere in England. 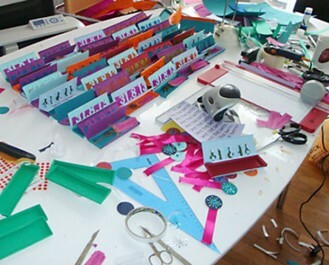 Here I am almost a decade later, still making glass and although my artistic output has become more product-based and streamlined to the commercial market, I still think of the pieces I make as little treasures that I am sending out into the world…. if you don’t believe me, look at the names of my products (“Global Treasury” and “Bejewelled”) or read about why I fell in love with glass here! 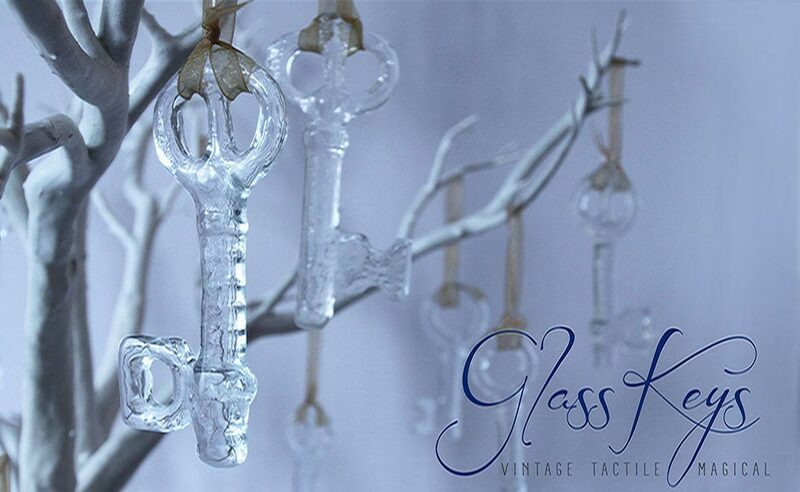 So it seems very fitting that on the cusp of my tenth year, my first new product is a glass key. Harking back to my wedding fripperies and my childhood fantasies, I hope my glass keys will help me unlock a little bit more of the mystery of why I feel compelled to keep making, what it is that drives me to create, despite sometimes being faced with a lack of understanding or interest from those around me, or the financial strain that often comes of trying to make a living from working with glass. These are questions I know that all of us artists and craftsmen ask ourselves on a daily basis, and it is perhaps only in carrying on that we will discover the answers to those questions.